Inappropriate videos YouTube Targets Inappropriate Videos for Kids YouTube Targets Inappropriate Videos for Kids YouTube is taking steps to tackle the problem of inappropriate or exploitative videos aimed at children. But it's a huge issue that won't be resolved overnight. Read More finding their way onto YouTube Kids last year was probably every parent’s nightmare. Especially from an app that bills itself as safe for viewing by little ones. YouTube recently announced a few new YouTube Kids features that will help put parents’ minds at ease. Search: YouTube Kids has always made it possible to turn the search function in the app off. But now, turning search off will also limit the videos seen in YouTube Kids to channels that have been verified by the app team. Collections: YouTube is making it possible for parents to choose from curated collections. The collections are created by the YouTube Kids team and their partners, which include PBS Kids and Sesame Street programming. Total Parental Control: And most important of all, while it hasn’t rolled out yet, later this year parents will be able to personally choose every video and channel their children can watch on the app. From any screen in the app, tap the Lock button in the bottom right corner. Enter the security passcode, whether’s your own custom passcode or the numbers shown on the screen. Tap the profile you want to restrict. You’re going to toggle off Allow Searching and toggle on Approved Content Only. When you toggle on Approved Content Only, a window will open prompting you to select the collections you want your kids to watch. If you’re installing the YouTube Kids app for the first time, you’ll also be given the choice to turn search off during set up. YouTube Kids has continued to evolve over the years, adding new features, but it’s not the only app offering kid-friendly content. 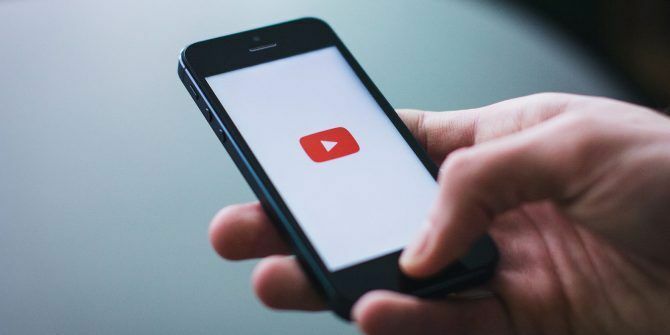 You can also try these YouTube alternatives for kids The 6 Best YouTube Alternatives for Kids on Android and iPhone The 6 Best YouTube Alternatives for Kids on Android and iPhone YouTube isn't particularly safe for children. So here are some YouTube alternatives for kids you can install on your smartphone... Read More . If you’d rather limit screentime, check out some kid-friendly podcasts Where to Find Kid-Friendly Podcasts You Can Listen to Together Where to Find Kid-Friendly Podcasts You Can Listen to Together One podcast app makes it easier to find podcasts that your children can listen to. And it's not like these podcasts are boring -- they'll pique your interest as an adult too. Read More instead. Explore more about: Parental Control, YouTube. First and foremost, YouTube Kids, being owned by Google should mainly be on all (or most) Android devices especially flagships. I'm using a Samsung Galaxy S7 Edge and it's not even "compatible" with my device. On my old Apple iPad Air 2, I was able to install and happily use it (for my Children). Even on my older iPad 4. Hello, Google! Hello, YouTube! What's up? !